ROCHESTER, N.Y. (Aug. 28) — Kyle Wyman and his Décor Brilliance/Lucas Oil/KWR team fought through adversity this past weekend at Pittsburgh International Race Complex. Wyman rode his Yamaha YZF-R1 Superbike to 7th and 6th place class finishes in races one and two, respectively. Expectations were high for Wyman, since posting the 3rd overall fastest time of the official test at Pitt-Race back in May. After two hour-long qualifying practice sessions, he found himself with the 8th fastest time of the day. Despite his discomfort, Wyman’s time was good enough to lock himself into Superpole. 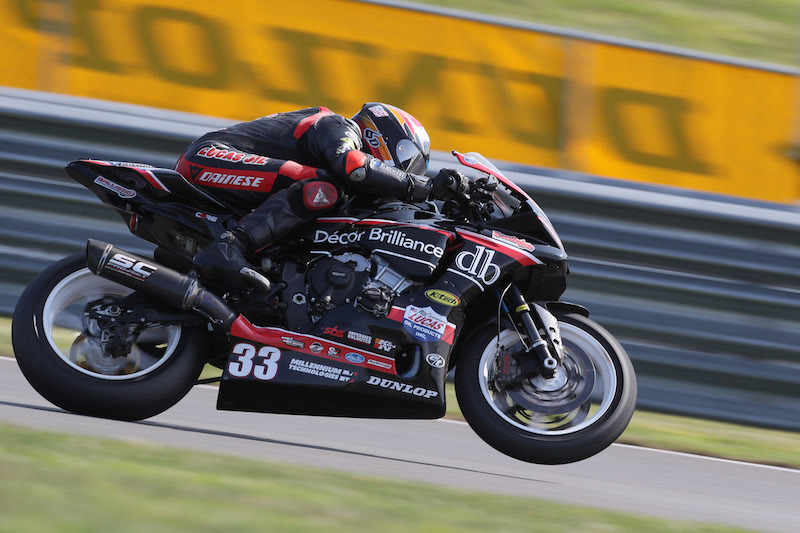 A personal best time of 1:41.633 on the Dunlop Q-tire would secure his spot in 9th for qualifying, on the third row of the grid for both 18-lap Superbike races. That afternoon in race one, Wyman opted for the medium compound rear tire for the race, a gamble due to the new abrasive surface and many other teams choosing the harder tires. Wyman settled into a race long battle with two other riders but struggled with rear grip for the entirety of the race. After ending up 12th overall, and 7th in class in race one, the KWR team decided to make the best use of the Sunday morning warm-up session. Making no changes at all to the bike, Wyman put on a new tire, but in the harder compound rear. He was able to turn a lap of 1:41.889 on the same exact chassis setup as the day before, over a second faster than in race one and nearly eclipsing his Superpole time. With high hopes for a better tire choice in race number two, the KWR team mounted a new harder option tire for the 18-lap final and sent Wyman off. A better start in the second race saw Wyman in seventh overall through the first section of the first lap, until multiple near-crash incidents cost him time and an eventual running off the track. With Wyman back in 14th place and a small chance of recovery, it wasn’t until lap 12 that the red flag came out due to the big crash of Hayden Gillim (who ultimately escaped without injury). The red flag would allow the teams to make changes to the bike, and the field would line up again for a short 6-lap sprint race to the finish. The KWR crew made a ride height change in the rear and a small change to the K-Tech KTR-3 Forks to try to improve rear grip. 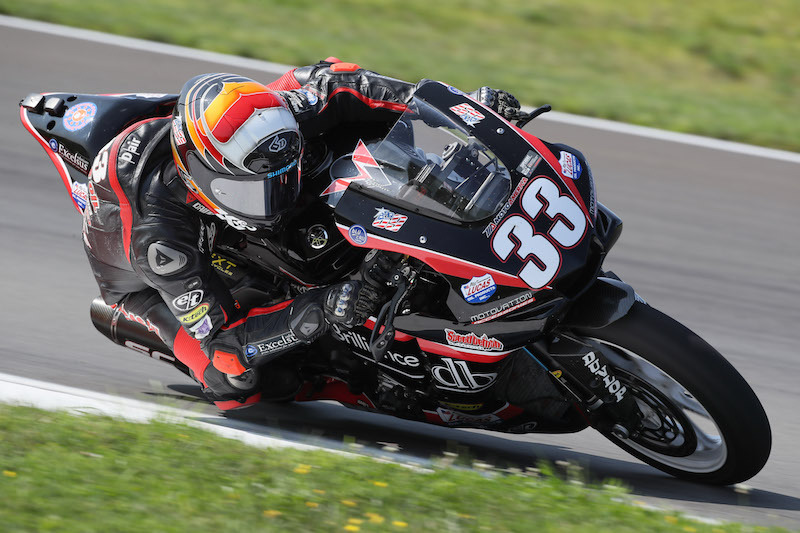 The MotoAmerica series heads to New Jersey Motorsports Park September 8-10, 2017. In the mean time, stay tuned for news and announcements in the coming weeks.